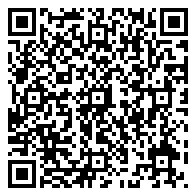 > Witness their intelligence, their compassionate nature and sheer delight of interacting with their human counterparts. 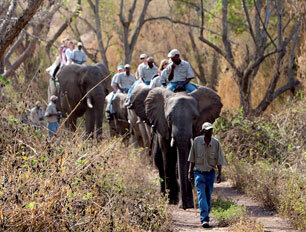 > Saddle up for a wonderful elephant ride through the African bush. > Enjoy a tasty three course lunch at Hippo Hollow Hotel overlooking the Sabie River. After the interaction, saddle-up and set off into the African bush on the back of the elephant, for a wonderful view of our surroundings. 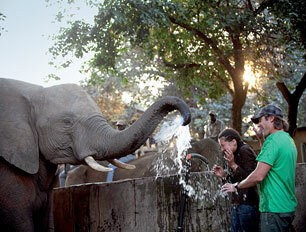 During the ride you are able to stop at any time to experience walking with the elephant.